The F03 is a large duo fibre stipple brush. 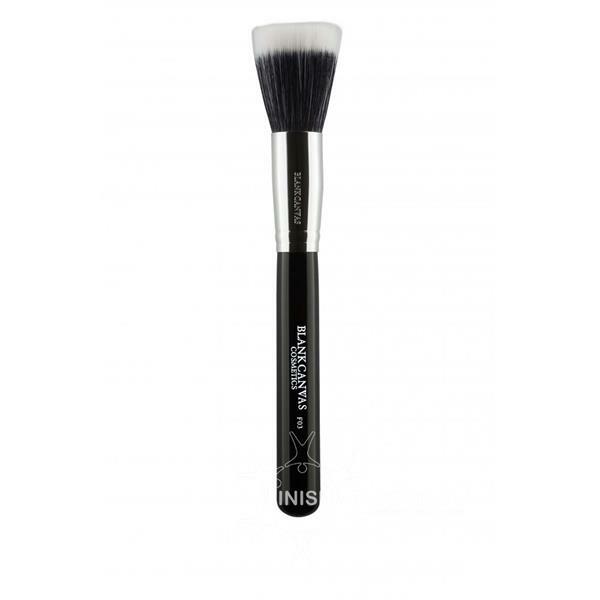 Used for the application of foundations, cream and liquid cheek highlighters and blushes. Can be used with creamy, liquid or powder products. Ideally you should first dab or stipple the foundation onto the sink and then blend it using a circular motion. Synthetic hair type (vegan friendly).